Description: DR's most popular radio channel: a "modern public service station" broadcast in 11 regional versions, mixing popular music with national and local news. P4 also provides a Traffic Message Channel service of travel news. It is broadcast on FM and web radio. Advertising: . At LogFm.com you can listen to any of the 45,000 radio stations online. We have made it easy for you to find your favorite radio, listen to the music you like, find the best new songs, listen to the latest news, etc. Simply type the station name in the search box and enjoy your choice. Listen to the radio online at LogFm.com. Our E-mail: info@logfm.com. 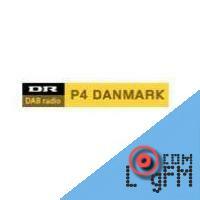 Live DR P4 Danmark. Rock and pop music, to listen to the latest news online.All rights reserved. 2009-2019 © LogFm.com.